They call it “soul folk.” Her friends did at least, when they were trying to pinpoint her musical genre. But she doesn’t care what you call it, she’s just happy to be playing it. After all, she quit this game once already when college life got a little too stressful. 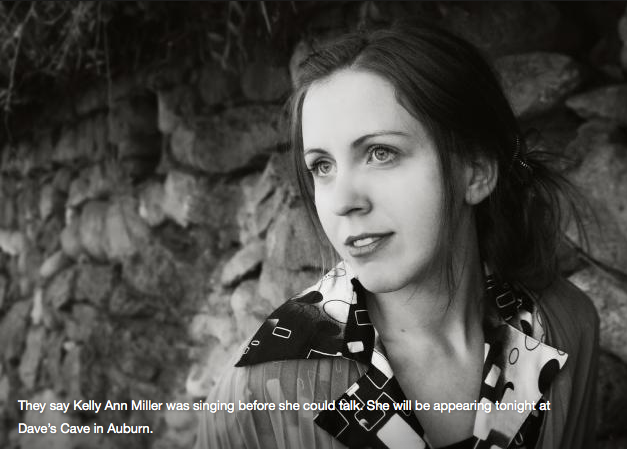 But Kelly Ann Miller is back with guitar in hand, and a voice that ranges from alto to soprano.